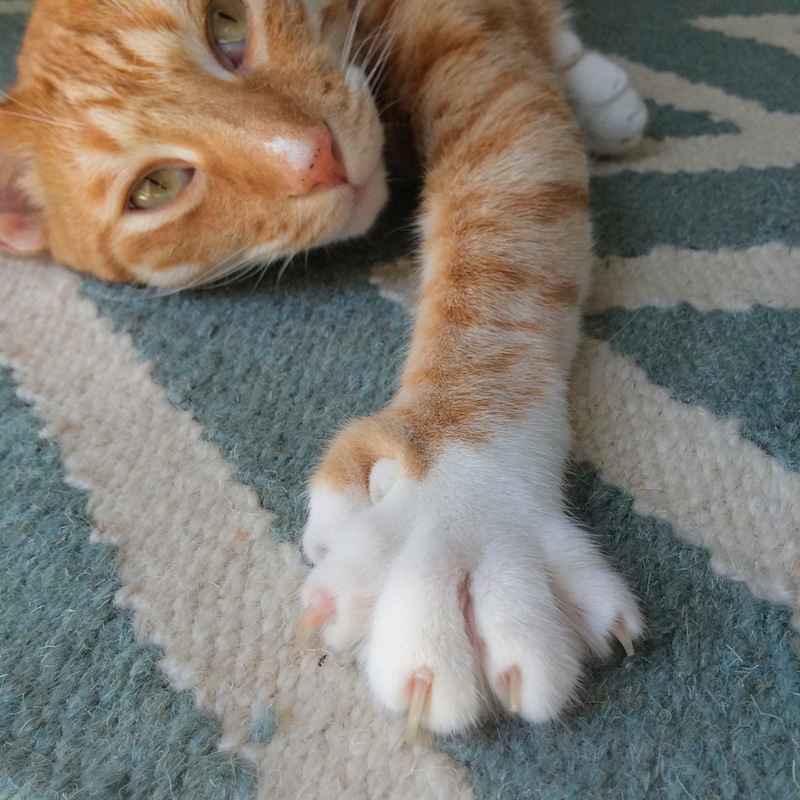 Austin, Texas soon may be the next city in America that bans declawing. Many ethical, no-declaw veterinarians and other animal welfare leaders spoke out in support of the bill and talked about the facts and studies that show how harmful and mutilating declawing is to a cat. People who spoke out in favor of the bill, Dr Katrina Breitreiter of South Austin Cat Hospital, Dr Nicole Martell-Moran of Feline Medical Center, Dr Roy Smith of Central Texas Cat Hospital, Dr Taia Lubitz, Monica Frenden of Austin Pets Alive, Sheila Smith of Shadow Cats, Anne Zabolio of Thundering Paws, and John Garrison, a biochemist and biologist. There were two people who spoke out against the bill. Dr Gina Vance, President of the Capital Area Veterinary Medical Association (16.40 min. mark in video) and one of their member declawing vets, Dr Richard Reinap, Bee Cave Veterinary Clinic (13.50 min mark in video). Dr Reinap and Dr Vance both stated the CAVMA position on this bill and said, “We oppose the current version of the proposed ordinance because it compromises the veterinary, doctor, client, patient relationship. In my opinion, after years of researching and looking into how veterinary practices in America address declawing, this is a lie. The majority of declawing vet practices in America do NOT do everything they can to talk people out of declawing their cats, in fact, it’s the opposite. They offer declawing as a standard and common procedure and even make it cheaper if the cat owner has the declaw done with a spay or neuter. I sent an email to this vet in the story, to his CAT FRIENDLY Practice and AAHA hospital, Westlake Animal Hospital in Austin, Westlake Animal Hospital Website and asked these important questions. 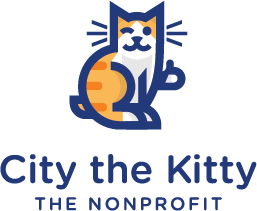 I was a Los Angeles Times photojournalist/journalist for 25 years and now write stories on my famous cat’s blog, citythekitty.com to educate the public about the facts about declawing and the humane alternatives. I’m doing a story about the declawing legislation in Austin and wanted to ask you these questions for it. Do you have a study that you are referring to about the less invasive and least painful. I’ve read studies that said the long-term outcome was not significantly different among the 3 methods of declawing but how is burning off a cat’s toe bones the least invasive method? You are a Cat Friendly and AAHA practice. Do you follow their guidelines about declawing? Do you know that the Cat Friendly practice, Exclusively Cats in Michigan, where the 2017 AAFP President works, said they don’t use a laser because it can scar the tissue really bad, it can burn the tissue and there can be delayed healing as a result of that. What do you make of that? Are they completely wrong and telling the public lies about laser declawing? You also say that you do around 25-35 declaws each year and that declawing isn’t common. Why couldn’t the humane alternatives have been used for those 25-35 cats? Do you offer declawing with spay/neuters and if so, how is that a necessity or a last resort? Does your staff educate cat owners who call for a declaw appointment about the facts about declawing, ask if they have tried the easy, humane options, or do they just book a pre-exam to see if the cat is healthy enough for the procedures? Will you do 4 paw declaws? If so, what is your justification for it? Why wouldn’t you want this inhumane and mutilating procedure banned and just educate cat owners about the easy, humane alternatives? Canadian vets are banning it in their provinces and it’s been banned and not performed by most countries in the world. The Royal College of Veterinary Surgeons call declawing mutilation. Are they all wrong? Do you have any educational material on your website about the facts about declawing and the humane options. If you don’t, is there a reason why? The manager of Westlake Animal Hospital wrote this reply. Since Dr Voelzel didn’t have the time to answer my questions about how he addresses declawing at his practice, we had to look into it this way. A spot check on how Dr Ian Voelzel’s Westlake Animal Hospital addresses declawing with a cat owner when they called and asked for declawing prices. Researcher asked for the price for a spay/declaw and employee said it is $831- $882. Researcher asked for the price of a 4 paw declaw and the employee said that they do offer 4 paw declaws but you have to have a vet tech write up a treatment plan to get a price for it. They said that you need an exam and pre-op blood work and they can definitely go ahead and schedule the spay/declaw if the cat is healthy enough for the procedures. Researcher asked for the best vet for the declaw procedure and the employee said that all the doctors do them and it’s a routine procedure. Another employee said that they don’t have an age limit for declaws. A researcher called for a neuter/declaw for a 10 week old kitten and the employee said that a neuter is $424-$442 2 paw declaw is $700-800. When the researcher asked for the best vet to perform the declaw, the employee said that all the vets are good at it. The employee said that if the kitten had any residual teeth at the surgery time they would have to be removed & there would be extra charges. Researcher asked if there would be any long term effects from the declaw and the employee said no, not that she’s aware of and stated that they use a laser. When asked about declawing a 2 year old cat and if there is an age limit the employee said that they didn’t think there was a age limit but that’s something the doctor would have to decide in a consult appointment. Below are the results of a July 2018, random study of how some Cat Friendly Practices in Texas address declawing. Declaw/spay is around $1000. They also give an antibiotic injection and send you home with Purina’s Yesterday’s News litter. They said that they have 3 vets who do declaws relatively frequently and they use a scalpel. They said that you can bring the cat in for an exam on the morning of the procedure. They said in 10-14 days the kitty is back to normal. They said that they do declaws and there’s a little discount if you do it at the same time as a spay/neuter. A spay/ laser declaw is $681. They said that their vet does them pretty regularly. They said that the laser is less painful, less swelling, and speeds up the healing process. They said that you have to make an appointment for an exam and to see if the cat is a candidate for the declaw. They said that not all cats can be declawed. A declaw is $120-160. They said that they do a laser declaw and their vet does a fair amount of declaws. A spay/declaw is $805. They said that they only do declaw with spay/neuters and usually in 14-21 days the cat will be healed. The spay/declaw is $518. They said that both doctors are experienced at declaws, they use a scalpel, and they do them regularly. The employee said that a spay/declaw is $650-750. All of their vets do declaws but that Dr Dixon and Dr Vargo do the most declaws and are their cat specialists. They said that they surgically remove the nail where it meets the finger. They said that in 10-14 days the kitty will be back to normal. When researcher asked for the price of a spay/declaw, the employee asked, “Just the front two?” A spay/4 paw declaw is $724 and the cat will stay for 3 nights. They said their vet who does the declaws, Dr Stanley, is a feline specialist and she uses a scalpel for the declaws. Employee said that a spay/declaw is $550. They said that either of their vets are good at the declaws. They said that the cat won’t have their claws there to do the damage and the cat usually doesn’t know anything has happened after the declaw. They use the guillotine clippers for the declaws and a laser for healing after the declaw. The employee said that their spay/declaw is $700-$750, their vet, Dr Rush uses a laser and does them regularly. They said that they use a laser and it cauterizes when it cuts and it helps with inflammation and they feel better. They said that there’s a vet tech surgery assistant helping and they have a good team. They give a pain injection which lasts 3 days and an antibiotic that lasts 2 weeks. The employee said that a spay/declaw is $404.40, their vet, Dr Kimball uses a scalpel and does declaws regularly. Employee says that their vets do laser declaws regularly. A spay/declaw is $585, the cat won’t have to have bandages, the laser takes off the claws so that there’s no bleeding, and they use 3 different modes of pain meds. The employee said that a spay/declaw is $305 and their vet, Dr Farmer, uses a scalpel. They said that she’s a Cat Friendly doctor and has extra skills when it comes to cats. They said a declaw is the same as chopping off a finger and the cat will have to stay overnight. They recommend getting the pain medication for $48 but it is optional. They don’t declaw cats. The employee said that it’s not a good practice to declaw cats and that it’s horrible because it’s cutting off the ends of their little toes. They said to look it up and read about it. They said it can cause arthritis and pain for the rest of their life. Also, the cat has to go through pain for weeks from the procedure. Employee said that they don’t know of any vet in Texas that will do it. They talked about the alternatives like getting scratching poles and a product called Feliscratch which directs the cat to scratch on the appropriate things. They don’t declaw cats. The employee said that they stopped because it causes the cats a lot of long term issues like arthritis and behavioral issues. They talked about the alternatives like nail trims, soft paws, and giving the cats the appropriate scratching options. They said that they can help with tips and training if needed. They don’t declaw cats. The employee said that they advise against it and their vets aren’t comfortable doing them. They talked about the alternatives like getting proper scratching posts. The employee said that they no longer do them unless there’s a medical reason for the cat. Another employee said that they don’t declaw cats because it’s a company policy. They said that it’s a controversy because some people declaw their cats because they are scratching furniture or because they are aggressive.